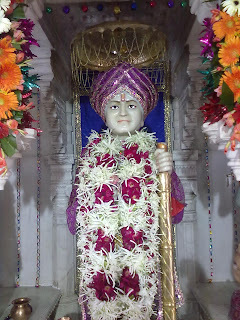 Shree jalaram bapa Vrat is three or nine Thursday Vrat.during this Vrat thursday not eating Food.one Time eating a Mug Khichdi,and eaten to poor people.and do darshan a jalaram. 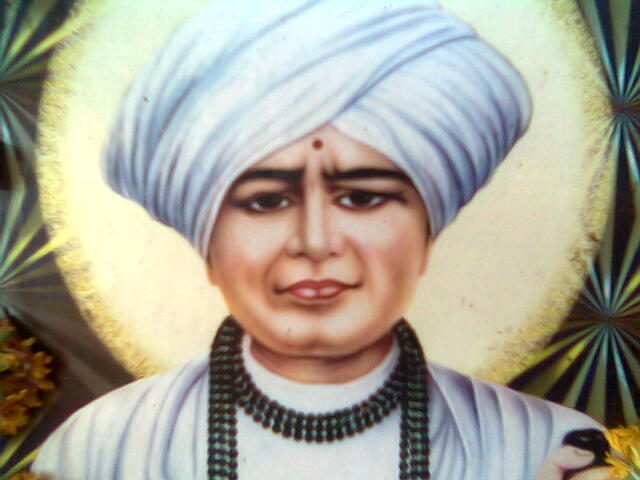 Take Pad Vandan karu jay jay shree Jalaram"
Shree Jalaram bapa Was Born on the 4th of November 1799 ,on the seventh day of the bright half of the kartik,Vikram era 1856,in the village of Virpur,Gujarat,India.Jalaram bapa was a Great Saint in Gujarat,india. 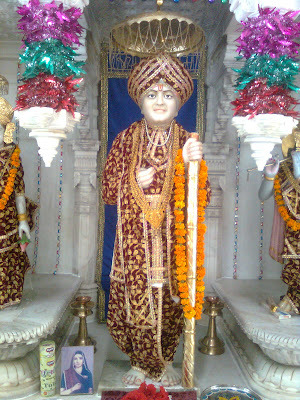 His father's name was Pradhan Thakkar and his mother's name was Rajbai.At the age of 16, Jalaram Bapa married Virbai but he was neither interested in household life nor in his father's business. 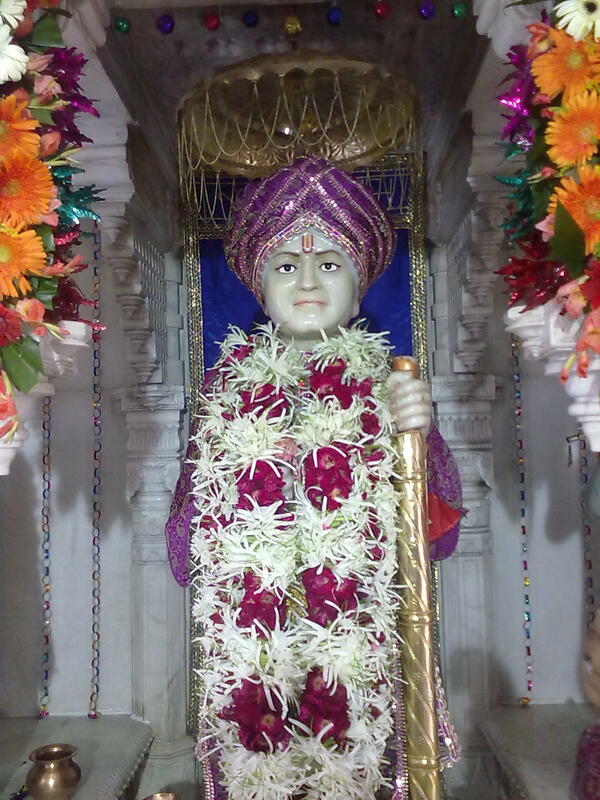 At the age of 18, Jalaram Bapa accepted Bhojalram as his Guru and with this Guru's blessings, he started "Sadavrat" a feeding centre, a place where all sadhus' and sants' and the needy could go and expect to be fed 24 hours a day. 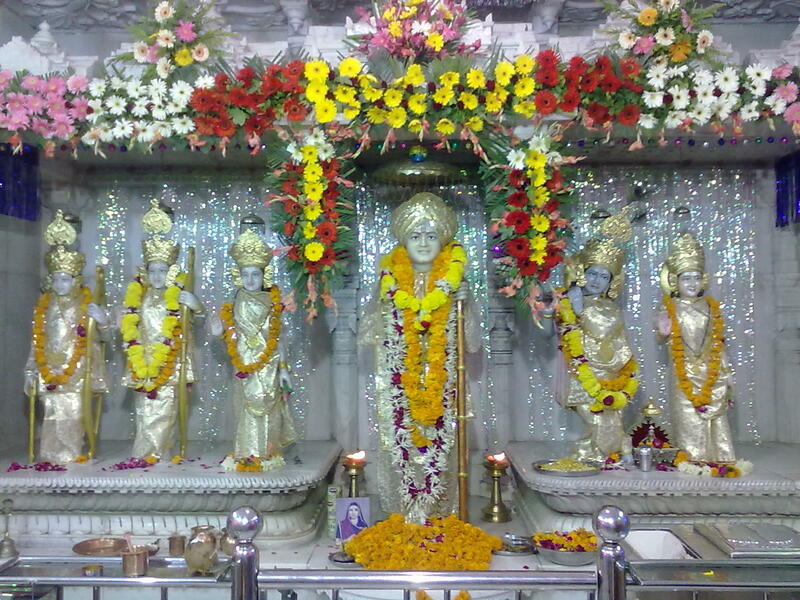 Both Jalaram Bapa and Virbaima started working for this holy place. Jalaram's strong belief was that "This was the Lord's order - This was the Lord's work - I am not doing anything for anybody - Lord has asked me to do this work - since it is the Lord's work, it is He looks after it and ensures that it functions". Actually that did happen - indeed the place functioned welland nobody ever returned from ‘Sadayrat' without being fed. One can question whether this can possibly be done by a single person - the answer is Yes. 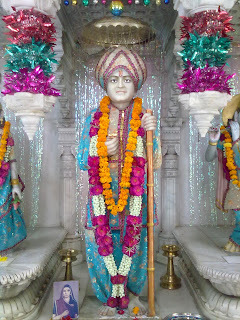 We argue and debate and yet probably would not come to a sensible answer - but then to do what Jalaram Bapa did one has to be a person of Jalaram's determination, with his patience and his love towards others. Jalaram Bapa was 20 years when his saintliness acquired a great fame. There are stories of how he was put to tests for his qualities of patience, endurance, love towards others, his steadfastness of thinking - he did not change under any pressure - he came out of all those tests successfully. 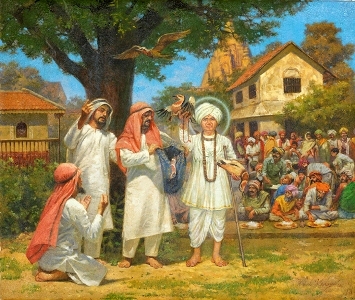 His fame spread and he was regarded and accepted as a saint. People started worshipping him and they came to him for guidance in difficulties, for blessings in real distress and discomfort. It is said that once he was called out to see an ailing child struck with serious disease. 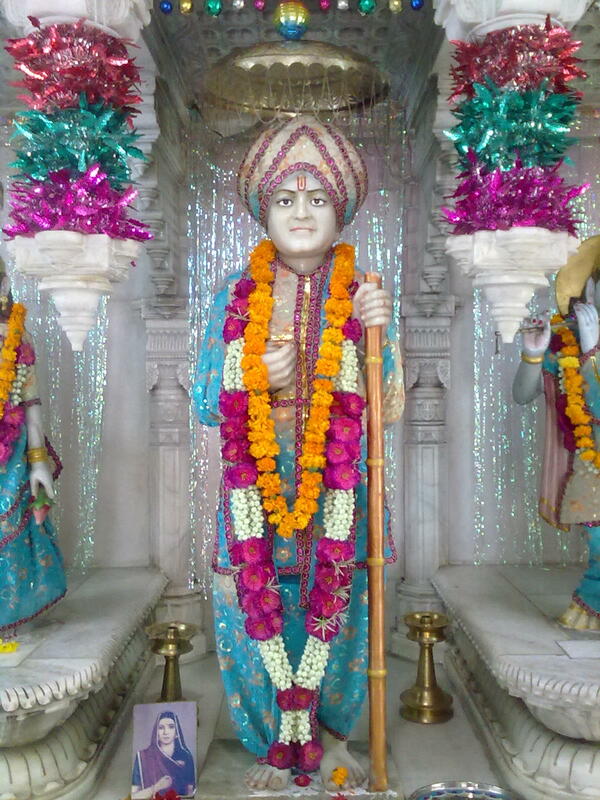 Parents of this child believed that the cure was solely due to Jalaram Bapa's blessings - Jala was since called Allah. 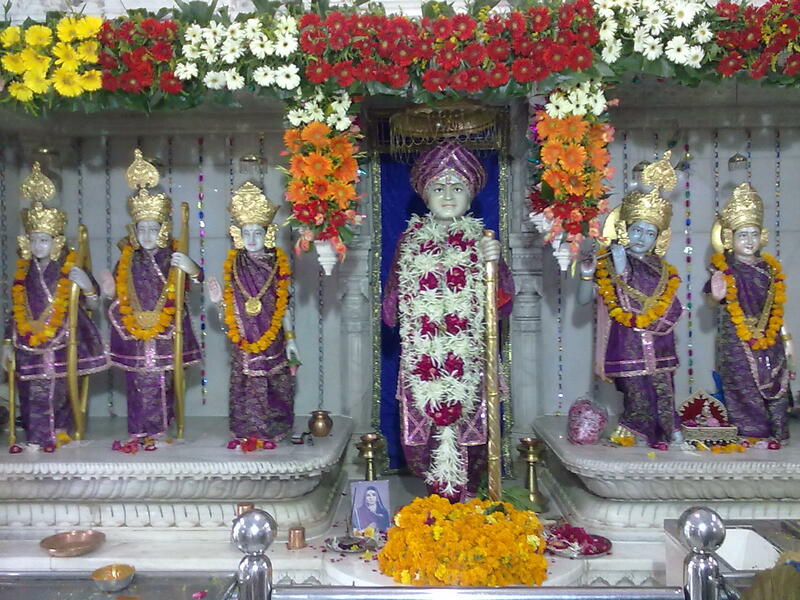 In another instance a person who was threatened to be imprisoned went to Jalaram for his blessings. 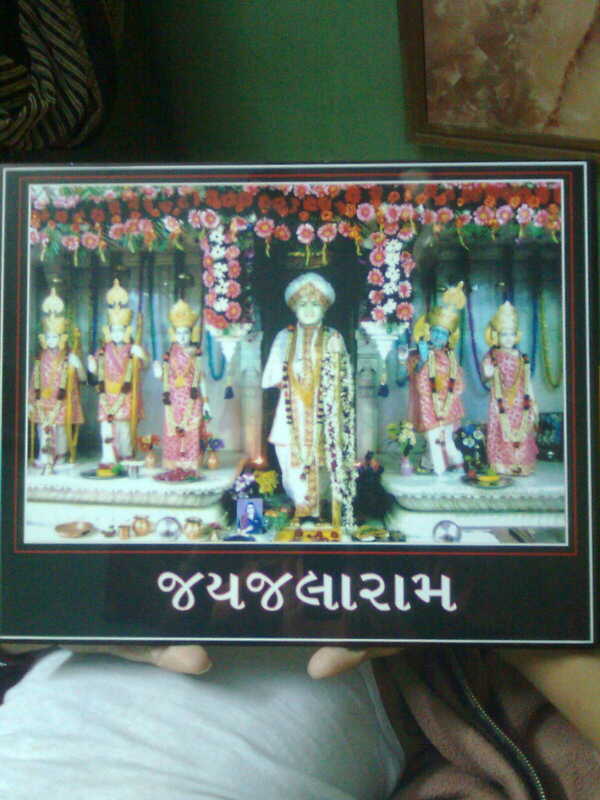 This man was not only saved from such imprisonment but he decided to lead a normal honest life then onwards. 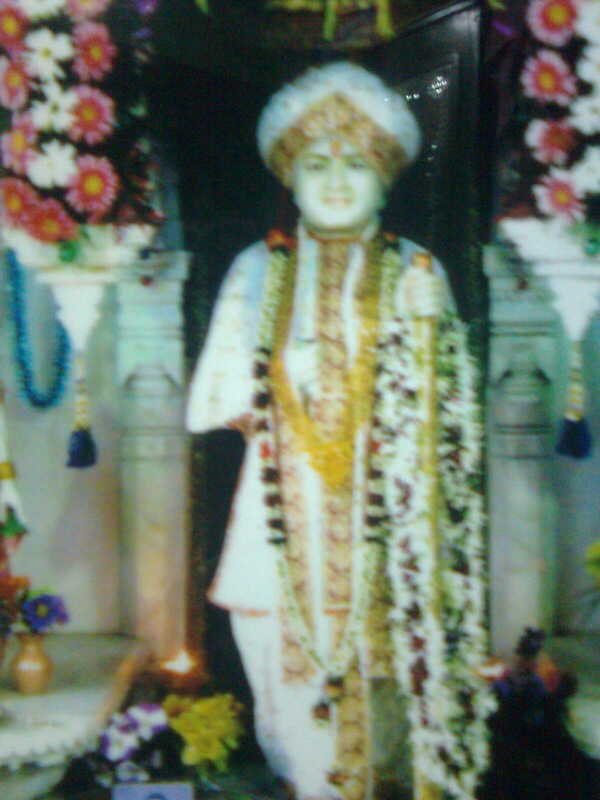 Jalaram was then onwards addressed as Bapa - Father of all. There are numerous such instances that can be quoted from his books but the fact is that his feeding place was open and is still open today in Virpur where people go and are fed. 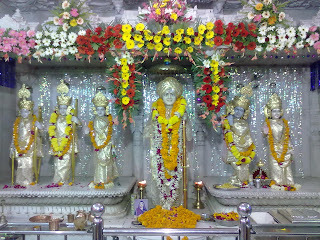 People go to Jalaram Bapa's places to offer prayers to him and seek his blessings for their personal grief, shortcomings and failures and many acquire relief and satisfaction. Human beings during their span of life always aspire to be rich and acquire wealth - they pray for complete family life - it saints such as Jalaram Bapa who remain away from such desire and wants. In their lives they always give - even when they are gone they still give to those who ask from them with purity of heart and sincerity of purpose. 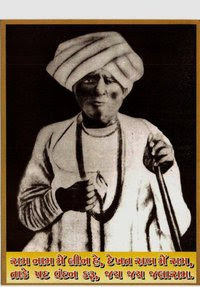 In 1934 during a terrible famine Jalaram Bapa worked very hard to feed those who were suffering. 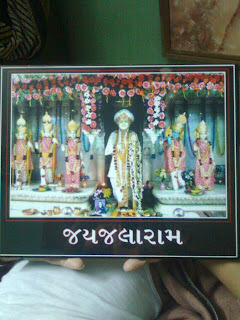 In 1935 Virbaima died and in 1937 Jalaram Bapa died while in prayers. Such is the story of the life of this Great Saint of Virpur.